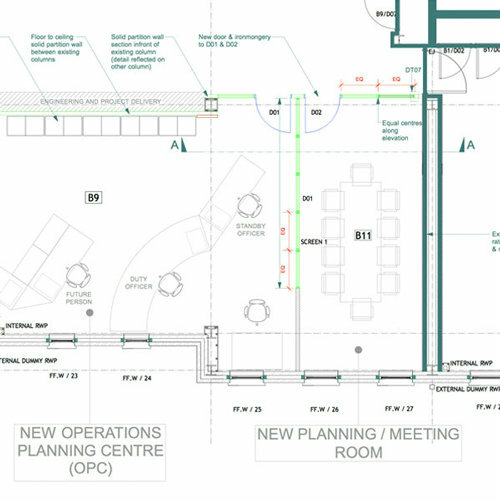 "a state of the art purpose-design that also integrated the planning aspect into the department's functions." 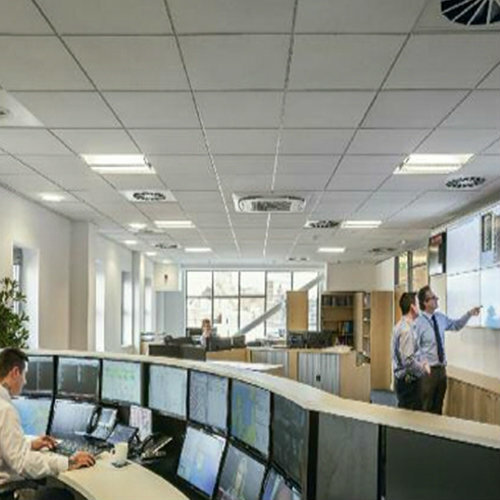 Trinity House at Harwich required a state of the art purpose-designed, ergonomically designed modern facility to house the monitoring and out-of-hours staff with IT and Audio Visual (AV) functionality. They also wanted to integrate the planning aspect into the department's functions. 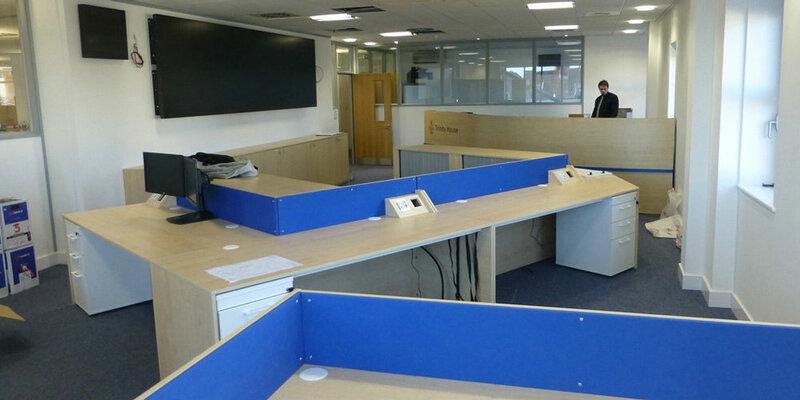 A client project team consisting of OPC and IT staff together with ergonomic specialists was set up to analayse the optimum desk layout to maximise staff interaction and expand operational capability. 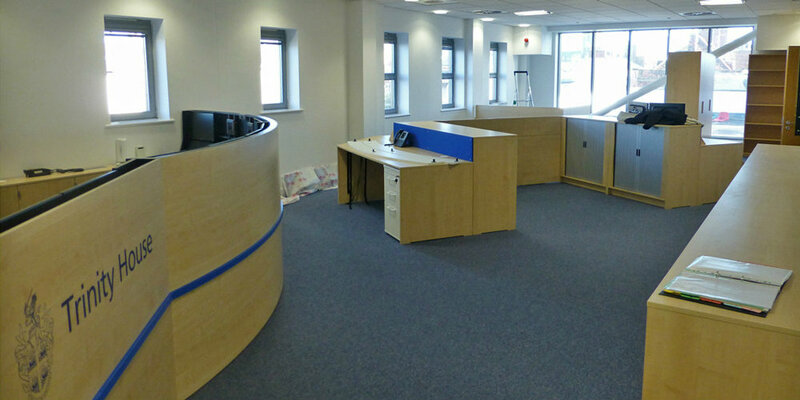 The current OPC space was not fit for purpose so a new area was allocated within the Harwich office building. All relevant staff were consulted to gather and define the detailed Employers Requirements. Inkpen Downie alongside Quantity Surveyors Potter Raper Partnership developed the detailed design and budget for client approval. 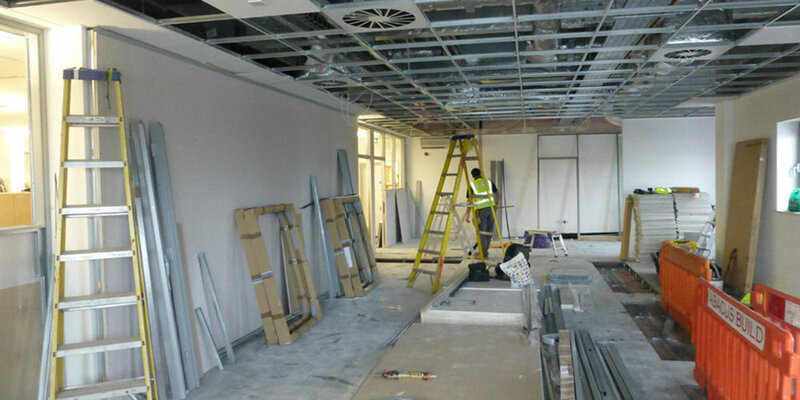 The complex IT and AV requirements also had to be incorporated into the design process and heavily managed throughout the construction phase. Solid team work lightened the headaches! The end result demonstrates how the office space was configured to allow collaboration for the client's team and to allow staff to view the audio visual 'video wall' - the technology solution centrepiece of the new OPC department that allows maximum flexibility to share and view many different types of electronic material on one wall, measuring 4.1m x 1.2m. The project went extremely well, exactly as planned, to programme and even came in under budget, resulting in a very happy client. The Planning Centre was inspected and officially opened by HRH The Master.